Christy Webber Landscapes specializes in fully customized snow removal programs for medium to large commercial and industrial clients. Each property’s plan is designed to meet your speciﬁc needs. Several key features distinguish our service: proactive maintenance, technologically advanced weather monitoring, extensive ﬂeet of equipment and skilled, professional people. We partner to keep your sidewalks and common areas snow and ice free. Our crews are dispatched in real-time, GPS equipped trucks to ensure the most efficient and effective routing. We employ a private weather service, which gives us access to the most detailed, up-to-the-minute information on current conditions and forecasts to ensure the most responsive removal. 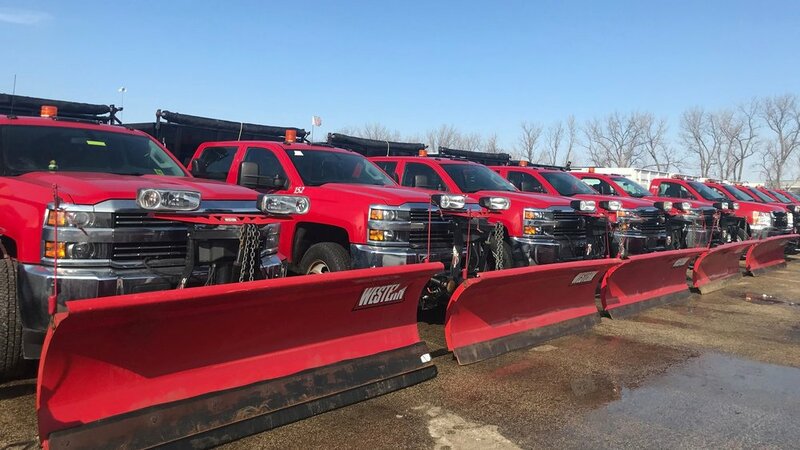 Our team consists of trained, experienced snow removal professionals that will give your facilities managers the peace of mind that their sites are correctly and safely maintained.